During an Oct. 11 celebration downtown, held in honor of Whitworth University’s 125th anniversary, President Beck A. Taylor announced the Harriet Cheney Cowles Foundation as a major donor to The Campaign for Whitworth. 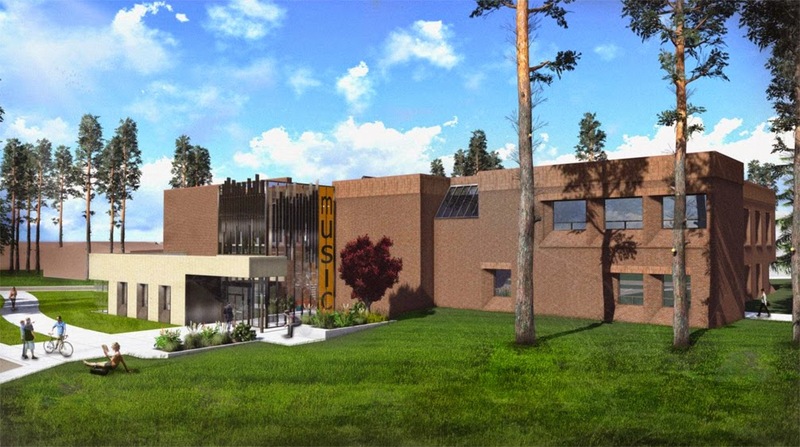 The foundation pledged $2 million to support an addition to and renovation of Whitworth’s music building, which was built in 1978 with significant support from the Cowles family. The new structure will be named the Cowles Music Center, in honor of the Cowles’ family’s generous support of the arts and education on the Whitworth campus over the past century. Whitworth’s relationship with the Cowles family dates back 100 years, when in 1914 William Hutchinson Cowles provided financial support for Whitworth’s move from Tacoma to Spokane. William Cowles’ vision to bring education, culture and the arts to the Inland Northwest has served as the basis for a lasting legacy of generous support from the Cowles family to the university. Over the years, the family has provided significant support for Whitworth’s original music building, the Harriet Cheney Cowles Memorial Library, the Cowles Auditorium, and the Margo Long Chair in Gifted Education. The music center addition will comprise 21,481 square feet of new teaching studios, practice rooms rehearsal rooms, and lobby space. 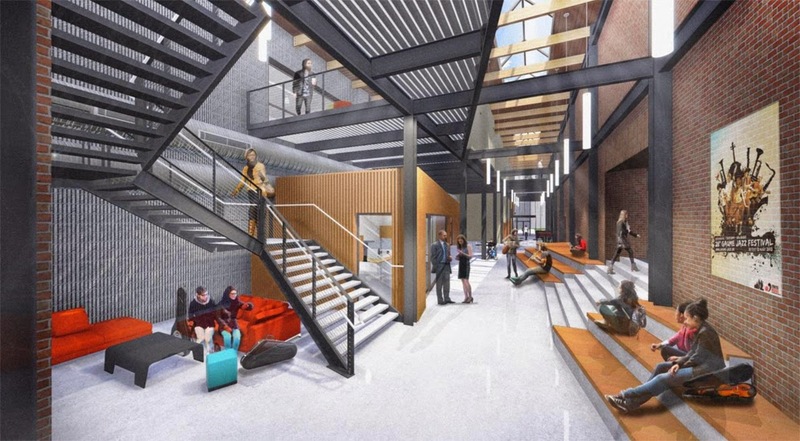 In the existing buildings, 15,625 square feet of space will be remodeled. The project’s total cost is $13.5 million, of which $10.6 million in funding has already been identified. During the Oct. 11 celebration, Taylor announced the public phase of The Campaign for Whitworth, naming Jim and Wanda Cowles honorary co-chairs of the campaign. Trustee Scott, ’84, and Sue, ’85, Chandler are also serving as co-chairs of the campaign. While funding for Whitworth’s music facility is a major component of The Campaign for Whitworth, other critical campaign initiatives include endowment growth, funding for scholarships, academic programs on campus, study-abroad programs, and an emphasis on serving the community. “These are all Whitworth hallmarks and we want to ensure that Whitworth is equipped to provide its distinctive mission of mind and heart for another 125 years,” says Tad Wisenor, ’89, Whitworth’s director of campaign planning. In total, Whitworth will seek to raise a total of $100 million by 2017. To date, $56 million in gifts and pledges have been secured. To learn more about The Campaign for Whitworth, click here. The Whitworth Serves component of the campaign offers a unique opportunity for all members of the Whitworth family to serve in their own communities in Whitworth’s name. Throughout the campaign, volunteers will track their hours of service via an online form. At the conclusion of the campaign, Whitworth will celebrate the collective volunteer hours served and the global impact of participants’ service. “This comprehensive campaign is a fabulous opportunity for the worldwide Whitworth community to come together and celebrate what makes Whitworth such a special place,” Wisenor says. Tad Wisenor, director of campaign planning, Whitworth University, (509) 777-4401 or twisenor@whitworth.edu.